IRELAND HAS THE third-highest rate of drug deaths in Europe according to a new study by the EU drugs agency. Ireland has 68 deaths per million people, second only to Estonia and Norway. Estonia had the highest rate of deaths by far of any country, recording 146 deaths per million people. The EU average is 21. Ireland also has the highest rate of heroin use in Europe with just over 7 cases per 1000 population. The study estimates there to be some 1.3 million problem opioid users in the EU and Norway. Heroin accounts for the greatest numbers of deaths related to drug use in Europe. The study found that there were 7,630 drug-induced deaths in EU member states and Norway in 2009. The majority of these were related to opiate use. However it warned that this is a conservative estimate. Among Europeans aged 15-39, drug overdoses accounted for 4 per cent of all deaths. The findings were made in the annual report of the EU drugs agency, the European monitoring Centre for Drugs and Drug Addiction. 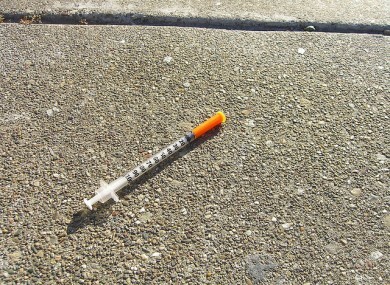 The report notes that Ireland and the UK were particularly affected by a short-term but severe heroin ‘drought’ which disrupted the supply of heroin to parts of Europe at the end of 2010 and start of 2011. Ireland ranked third in Europe for prevalence of cocaine use among young adults (15-34), behind the United Kingdom and Spain. Figures showed that there had been an increase in the number of young people using cocaine – up to 3.1 per cent from 2 per cent in 2003. However the figures used were from 2007 so levels may have changed in that time. The study found that levels of drug use across Europe are generally stable, despite remaining high by historical standards. The report briefly examined controversial legal highs, but noted that there are few studies on the prevalence of the drugs. The report found 314 online shops selling legal highs that would dispatch products to at least one EU member state, with the UK the most common origin of these shops. Email “ Ireland has third-highest rate of drug deaths in Europe”. Feedback on “ Ireland has third-highest rate of drug deaths in Europe”.